Leadership training is an industry worth an estimated $50 billion, and it exists because we have a concept of what leadership is and what great leadership produces. The definition of leadership has changed significantly over the centuries, after societies first formed and expanded. Leadership manifests itself differently in different contexts. In early societies, leadership was often predicated on “divine right,” or being born into the right family at the right time. Leadership largely meant issuing orders and expecting people to obey them out of fear of retribution. Over time, however, authoritarian leadership evolved, as societies grew and as using fear to coerce people into following became less effective (though pockets of this type of “leadership” can still be found). 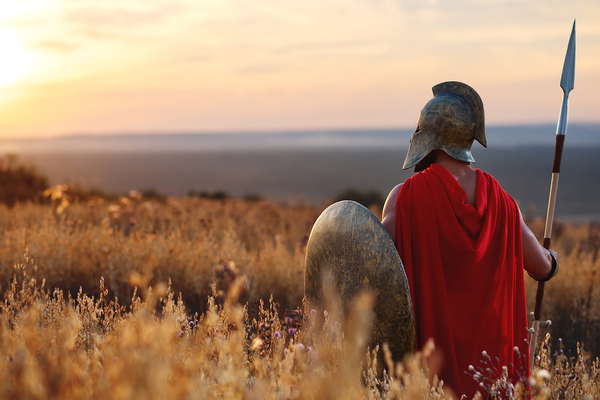 In societies like ancient Roman society, there was an element of being “chosen” for leadership, since emperors often adopted an honorary son to take over upon the emperor’s death. But even during the early days of the Roman republic, a senate and executive magistrates gradually pushed “leadership” away from monarchy and more toward constitutional rule. During the Middle Ages, power was increasingly transferred from monarchs to Parliaments, or similar bodies, and in 1762, Jean-Jacques Rousseau published The Social Contract, which argued that only “the people” are sovereign and have the right to legislate and shape society. But ultimate power coming from the people doesn’t mean that leadership is suddenly unnecessary. In fact, great leadership is more necessary than ever under such a social construct, and it is far more complex than earlier, monarchical power. Though some people may have more natural proclivity toward leadership, it is a skill that can (and must) be developed to be effective. What Is Typically Involved in Leadership Training? In today’s world, leadership training is most often thought of in the context of the business world. Businesses have a strong interest in finding, hiring, and retaining the most qualified and engaged employees, supervisors, and executives, and for that to happen, leadership is necessary. The people least likely to walk away when another opportunity presents itself are those who are treated fairly and with consistency, which is a direct result of excellent leadership. A high-quality leadership training program employs outstanding content and best practices and produces a positive return on investment, typically due to higher productivity, lower turnover, and better employee engagement. With so many industries facing a long-term shortage of skilled workers, leadership training may prove to be just as indispensable to business success as effective compensation and a well-defined career progression track. 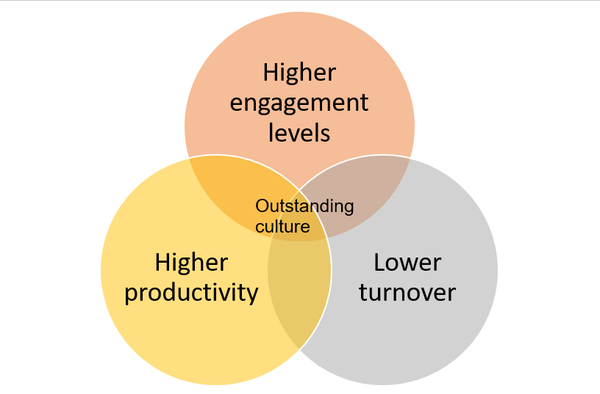 Outstanding corporate culture sits at the intersection of high engagement, high productivity, and low turnover. 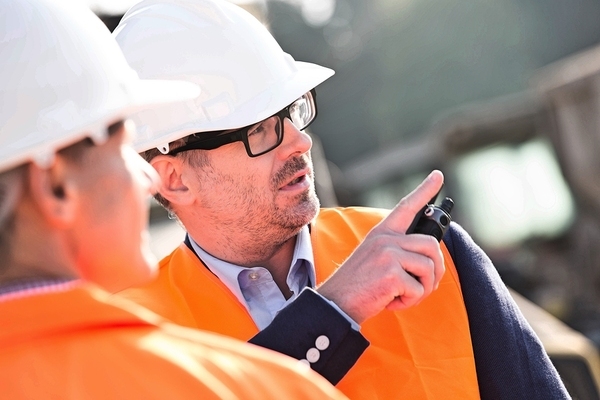 One startling discovery is that a 2015 Plant Services / Alidale MER Leadership Survey found that over one-quarter of supervisors and 18% of managers reported that they had never received leadership training. Another 19% of supervisors and 36% of managers said they only received training once (or less) over a period of five years. Think of how much a workforce (and the technologies they use) can change over five years, and it’s easy to see that comprehensive leadership training should be a priority every two to three years to get the most value from the investment. How Might Leadership Training Programs Differ? Leadership training programs may differ significantly, and it is crucial that organizations make informed decisions when choosing leadership training programs. Unfortunately, programs may be chosen by someone with an incomplete understanding of what kind of training is needed, based on things like leadership training programs’ advertising collateral and cost. While these factors should be considered, more important is understanding current leadership strengths and weaknesses, and choosing among leadership training programs that address those specifically. Ideally, a representative of a leadership training program would spend time learning about the people participating, company pain points, and goals before putting together a proposal for a program tailored to the client company’s needs. But often, both client companies and leadership training providers take a “one size fits all” approach and choose a program that claims to cover what sound like the most important concepts: communication, time management, group decisions, and rewards. Not that any of those things are unimportant. But which of them should be prioritized will differ from one organization to another. In other words, leadership training should be tailored to the organization, addressing needs that will make the most positive difference. Likewise, the training program that is ideal this year may not be right three years down the road. Any time an organization is going to invest in leadership training, the first step should include careful needs evaluation. Not that there isn’t a place for “feel-good” team exercises, but they’re not the same thing as leadership training. There may have been a time when training dollars could be used for training programs that were more “feel good” exercises than anything else. Those days are gone. Today’s organizations want results. They want to realize a return on their leadership training investment. In a similar vein, there may have been a time when someone in HR needed to check a box indicating that a certain group (departmental directors, say) underwent training simply to fulfill a company or industry training requirement. Maybe a one-off training program was brought in and everyone sat through it and HR got to check the box. But those days are largely over too. Leadership training must produce actual improvement in leadership, or it’s a poor use of resources. This isn’t to say that leadership training must be pure drudgery. Excellent leadership training produces results and builds the confidence and motivation of the participants. But it’s important to ensure that in addition to the “feel good” components, actual leadership training takes place and results can be demonstrated and measured. Leadership training has come a long way since the days of trust falls and tossing a Koosh ball around. Effective leadership training should include an activity involving introspection and reflection that helps participants look at their current status, both on a personal and an organizational level. Perhaps they reflect upon how much time they should spend on behaviors like resolving conflict, collaborating, encouraging, observing, and disciplining, versus how much time they actually are spending on those things. Before you can set off in a new direction, you must first have a direction. Otherwise you’re engaging in directionless exercises that may do little good. Another leadership training exercise may involve comparing outstanding leadership behavior with un-leaderlike behavior and identifying the drivers of both. Many leadership training programs offer exercises that help individual participants understand their own specific leadership style. What makes up their character? What leadership style do they tend toward? What are the benefits and risks of each leadership style? What are potential problems with various leadership styles, and how can those problems be addressed? Time may also be spent learning about developmental strategies that can help people within an organization progress from the leader they are to the leader they need to become. An example of an important skill and associated developmental strategy may be the skill of motivating excellence in others. 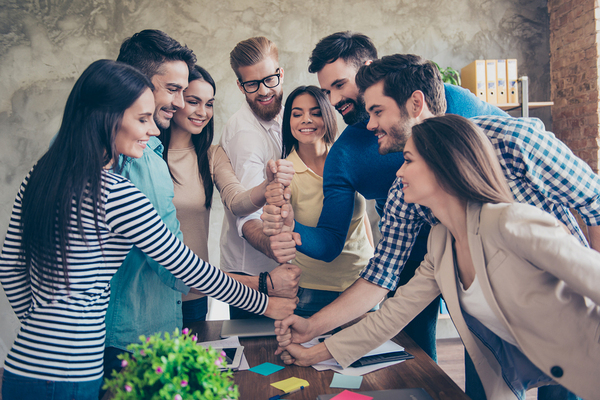 The strategy that helps make the concept into reality may include steps like communicating the importance of individual and team goals, demonstrating enthusiasm, and creating a work environment that encourages and rewards excellence. The most important aspect of leadership training is that it should be designed to address real needs and produce measurable results. Who Should Participate in Leadership Training? Ideally, everyone in a leadership capacity would have leadership training. Most organizations, however, must limit it to where it will get the best ROI. Supervisors, managers, and people who are likely to become supervisors and managers should participate in leadership training every two or three years. After all, the supervisor or manager is being paid for leadership. And it isn’t only new supervisors and managers who should participate in leadership training. One of the most remarkable characteristics of business today is how rapidly things change. Nobody can undergo leadership training once and expect it to remain relevant throughout the rest of their career. Moreover, skills and knowledge decay over time, and subsequent leadership training helps counter this tendency. Ideally, anyone involved in a leadership capacity should participate in leadership training, including people like production line leaders. But many businesses simply don’t have the resources to devote to that much leadership training. When resources aren’t limitless, it’s necessary for businesses to direct their leadership training money to where it will make the most positive difference. While some organizations may benefit more from offering leadership training to higher-level leaders, others may benefit more from enrolling emerging leaders in leadership training. It’s not always easy to see where the benefit-to-cost ratio is highest, but organizations should attempt to determine where it is, in order to allocate training funds optimally. If training funds are available, offering leadership training to everyone whose job includes leadership in some capacity is ideal. What Results Should Be Expected from Leadership Training? It’s easy to say that the main result expected from leadership training is “better leadership,” or “better leaders.” But what does this mean? Each organization must define for itself what better leadership looks like. It is not unreasonable to expect a 20% labor efficiency improvement when managers and supervisors are more engaged as leaders. When that happens, it’s like having an additional worker for every five, and that’s significant! Additionally, it’s reasonable to expect lower employee turnover, and employee turnover is disproportionately expensive. 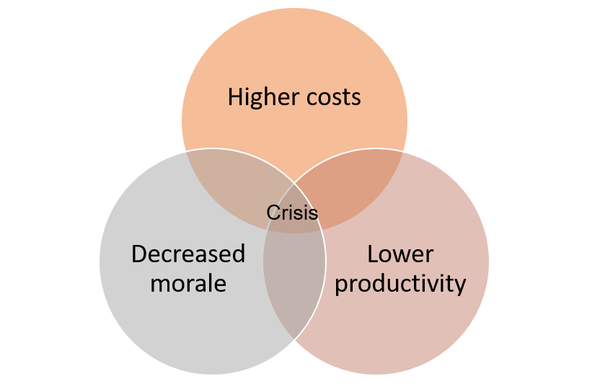 The “costs” associated with high employee turnover include lower productivity as a worker’s separation date approaches, administrative costs associated with recruiting and hiring, decreased productivity while positions remain vacant, higher stress on remaining employees (which can lead to even more turnover), and the costs associated with getting a new person up to full productivity. The costs of high turnover can lead to a full-blown crisis. Excellence in leadership won’t do away with employee turnover, but when it reduces turnover, the return on investment is generally swift and positive. 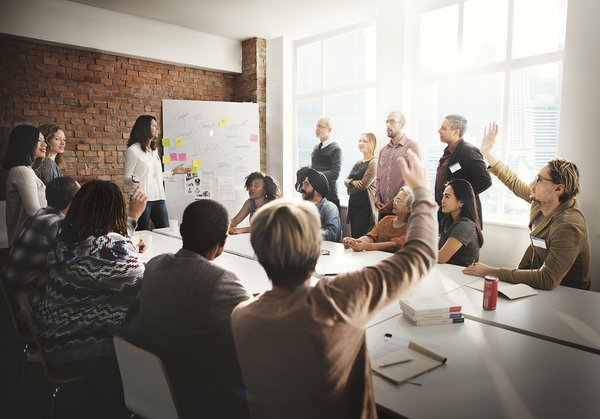 Lower turnover and higher productivity aren’t the only things organizations can expect from improved leadership training, but they’re among the most important. Other benefits may include intangibles like a more motivated workforce, and a corporate culture that makes it easier to hire and retain good talent. One of the biggest dangers of leadership training procured so that HR can “check a box” is the phenomenon of learning decay. 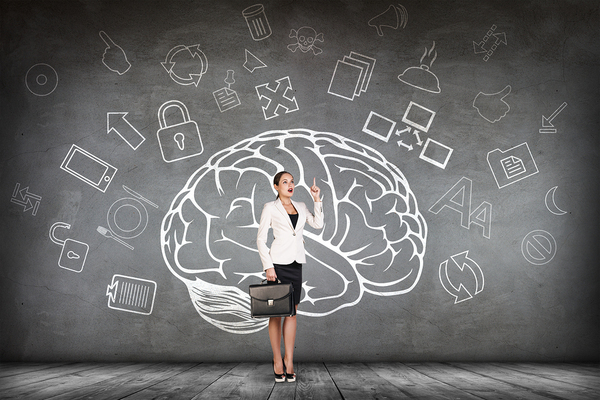 The human brain tends not to bother remembering information or skills that aren’t called upon repeatedly and frequently, and “check the box” training rarely demands recall and use of new information and skills. When training isn’t applied soon after a training program is completed, participants simply won’t retain what they were taught. When we learn information or skills in a classroom, we first retain the information in short-term memory. Transferring that information or those skills to long-term memory requires repeated exposure, recall, and practice. Therefore, it’s important when choosing leadership training programs to ask questions about how the programs and instructors plan to counter “learning decay” and whether practice and coaching of skills and information are included as part of the training. Training programs must use techniques that minimize learning decay. John Mattone is the world’s second-ranked leadership coach, a best-selling author on the topics of leadership and corporate culture, and the world’s top authority on intelligent leadership. His Intelligent Leadership 2.5 Day Executive Retreat is an industry first and is designed for current leaders at all levels as well as high-potential and emerging leaders. Multiple levels of Intelligent Leadership training are available, with some including personalized coaching sessions with John Mattone and/or his Master Certified Intelligent Leadership Coaches. In short, John’s Intelligent Leadership program is designed to elicit measurable results that last long after the training itself is over. Intelligent Leadership was created with long-term, sustainable results as a goal. The most successful businesses of today comprehend the importance of leadership training, and understand how it must address real rather than theoretical needs and produce results that are measurable and long-lasting. Industry leaders also recognize that leadership training is not a “once and done” phenomenon because of the rapid pace of change in markets, technologies, workforce, and philosophies. The world of business and the world in general will continue to evolve whether we like it or not, and leadership training must evolve as well. Today’s leaders can’t rely on leadership theories of yesteryear to prepare them for challenges and help them unlock their full potential. John Mattone’s goal is to empower both today’s and tomorrow’s leaders so that organizations experience the best return on their training investment, and so that the organizations, their workforce, and their customers all ultimately benefit. Employee turnover – the number or proportion of workers who leave an organization and must be replaced. High employee turnover is generally very expensive to businesses. I like your concept of partnership leadership training. This is one of the nice blogs I have come across. Your leadership training is really amazing. This will really help me to strengthen my skills and improve my abilities. Thanks a lot for sharing, This is a really a good and useful piece of information. This is some really good information about leadership training. It is good to know that there are programs out there that can help you learn. That does seem like a good to be aware of when you need to find a quick way of training good leaders. My husband is thinking about attending a leadership training program and I am glad that I found this article because I did not realize how beneficial it could be for him! He is currently a supervisor at his job and he wants to find ways to help his employees more and connect with them. You make a great point that he should find a training that will help him to resolve conflicts and create a fun and productive work culture.